So you’re thinking about an iComfort? These mid-range to luxury model mattresses have been the talk of the town, but is it the right fit for you? Let’s talk about the pros and the cons of this mattress line to see if it’s worth testing out! Serta is a longstanding company. It’s been around since 1931 and is one of the largest mattress brands in the US.The Serta iComfort mattress is a mid to luxury range mattress. 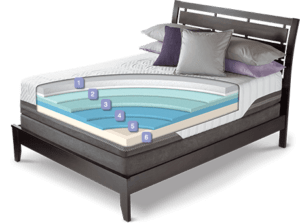 The uniqueness of the iComfort is its memory foam and hybrid mattress combo, which aims to solve a variety of sleeping needs. Another unique factor is Serta’s gel infused foams, which claims to have a cooling factor in the foam. This helps you to sleep cool at night. Pressure and pain relief. 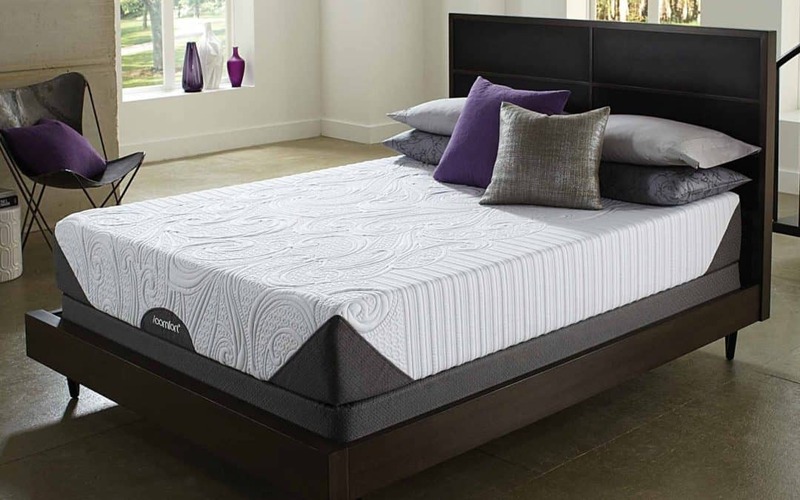 The iComfort models may relieve pressure points and back pain often associated with a poor mattress. Pain relief equals a good night’s sleep! The cooling gel. The cooling gel aids in helping you sleep cool. This is great for anyone who has night sweats. Model Variety. The iComfort also has many different models to choose from. Mattresses range from memory foam to hybrid mattresses, so it’s likely that you can find a comfortable mattress that’s right for you. Returns. Serta has a 120 day return policy which is above average for the industry. Availability. There are a wide variety of retail and online stores that you can purchase the iComfort mattress. Too Firm. Memory foam is not for everyone. There are many consumers who complain of their mattress being too firm. This is mostly about personal preference but still worth noting. Not durable. The iComfort also may not be the most durable. There are complaints from consumers about the mattress sagging, which makes for a poor night’s sleep. Owner Satisfaction. According to Sleep Like the Dead, the iComfort hybrid and ISeries only gets a C- in adult owner satisfaction. Overall it seems that the Serta iComfort is based on personal preference. The iComfort is not your traditional mattress, so it will not be a product for everyone’s taste. It seems that it is a decent product for the price. It may behoove you to test out a mattress in the store to get a feel for whether or not an iComfort could be a match for your sleeping needs.